Situated in beautiful Vancouver, Washington, Best Western Premier Hotel at Fisher's Landing is an ideal choice for business and leisure travelers. Our Vancouver, WA hotel offers a truly refined atmosphere with superior comfort and service. Sleep peacefully on a plush bed and marvel at high-end amenities including robes, slippers, and luxury Nest bath amenities. All of our smoke-free rooms feature stylish furnishings and amenities including a plush sleeper sofa in each room, flat screen TVs with cable HD channels and free high-speed Internet. Youll feel right at home with a convenient mini-refrigerator, microwave and Nespresso coffee machine. 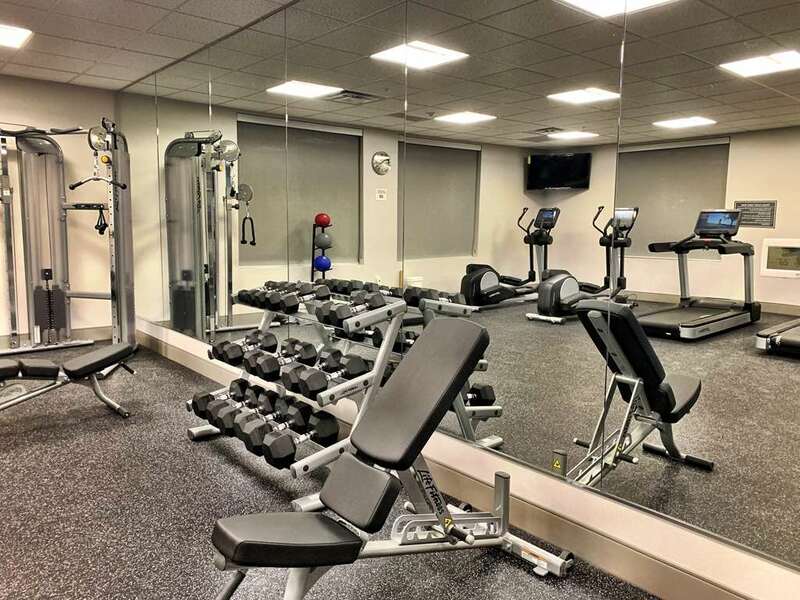 Wake up to a complimentary hot breakfast and recharge at our modern fitness center featuring Life Fitness equipment with interactive video consoles. After a busy day, the Bridge Bistro + Lounge is a fun place to unwind, or relax with a refreshing cocktail, beer, or wine. Enjoy chef-curated meals created from the freshest ingredients in our well-appointed dining room or on the outdoor patio. Corporate travelers appreciate our proximity to the Portland International Airport. Take care of office tasks at the well-equipped business center or book a conference and banquet at our flexible meeting space. Let us handle all the details from catering and audio/visual needs to group reservations. Enjoy our close proximity to the Vancouver Waterfront and Downtown Portland, Oregon. Discover the vibrant food, art, and culture of the Vancouver and Portland areas. From: Portland International Airport. Head northwest on NE Airport Way. Continue on NE Airport Way. Take I-205 N, WA-14 E and SE 164th Ave to SE 167th Ave in Vancouver. Turn right onto SE 167th Ave. The Best Western Premier Hotel at Fisher s Landing will be on the right. From: Downtown Portland, Oregon. Get on I-84 E/US-30 E from SW 4th Ave and SE Morrison Bridge. Continue on I-84 E/US-30 E. Take I-205 N to SE 164th Ave in Vancouver. Take Exit 8 from WA-14 E. Continue on SE 164th Ave. Drive to SE 167th Ave. The Best Western Premier Hotel at Fisher s Landing is just ahead. From: Seattle, Washington. Get on WA-99 S from Madison Street. Take I-5 S to SE 164th Ave in Vancouver. Take Exit 8 from WA-14 E. Continue on SE 164th Ave. Drive to SE 167th Ave. The Best Western Premier Hotel at Fisher s Landing is just ahead.